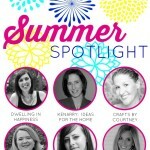 The lazy days of summer were the perfect time for discovering fabulous new bloggers with our Summer Spotlight Series. Now the tables are turned and it’s my own blog ~ 3 Little Greenwoods ~ that is being featured! Hi there! 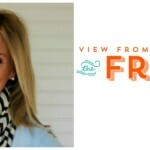 It’s Katie from View From The Fridge, and I’m so excited to be able to feature one of our co-hosts today! 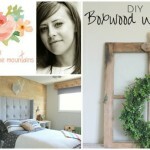 I have the honor of spotlighting Ashley and her blog, 3 Little Greenwoods. 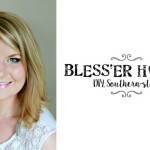 She and her husband, who she refers to as ‘Honey’ on the blog live in South Carolina with their three little kiddos (hence the name of her blog). Her family is absolutely adorable and Ashley’s southern charm (both in her personality and in her home) drew me in right away! 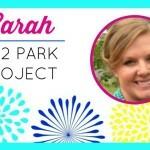 Ashley has been blogging for nearly three years as a stay at home mom, but just this Fall decided to go back to work as a Kindergarten teacher again. 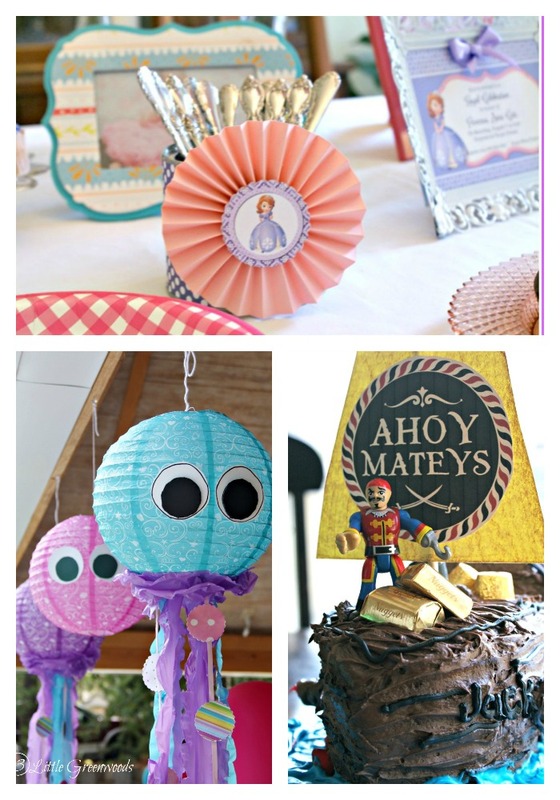 Any kiddo would be lucky to have Ashley as their teacher … just imagine the fun and the crafting going on in that room!! One of the reasons I love Ashley is that she seems to honestly love life, her family, and doesn’t take anything too seriously. 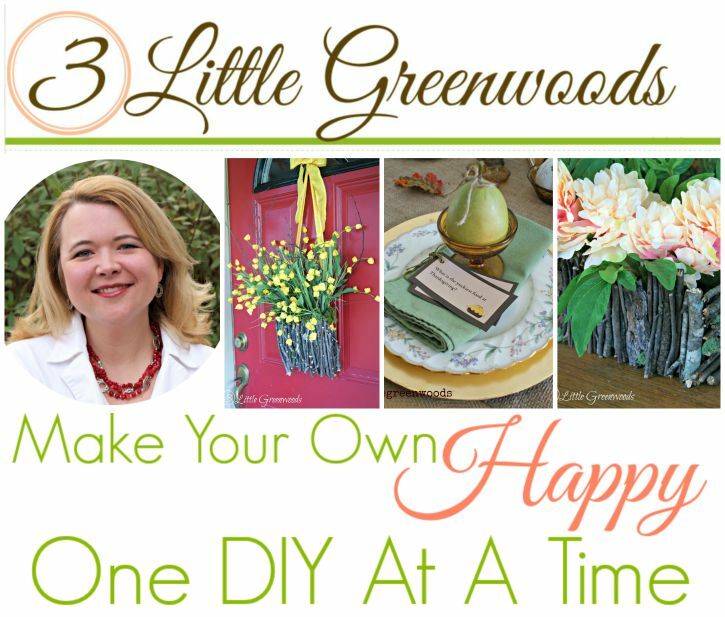 Her motto for the blog (and life in general) is to ‘Make Your Own Happy One DIY At A Time’. I love that: One day at a time … one DIY at a time … Creating Happiness! I also love that she “doesn’t do perfect”. Amen! Neither do I … who’s got time for perfection (and why)?!? You can read more about her (including why she doesn’t like whistling or talking on the phone …) in her ABOUT Page HERE. See more of her gorgeous Fall Home Tour HERE. Ashley also says that this is the place she goes when not teaching or blogging to ‘hide from her kiddos and read’ (although they know exactly where to find her every time ). Moving inside … Ashley has a genius tutorial on how to make curtain rods for less than $5 a window!! 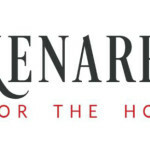 Cheapest Curtain Rods Ever … with finials! 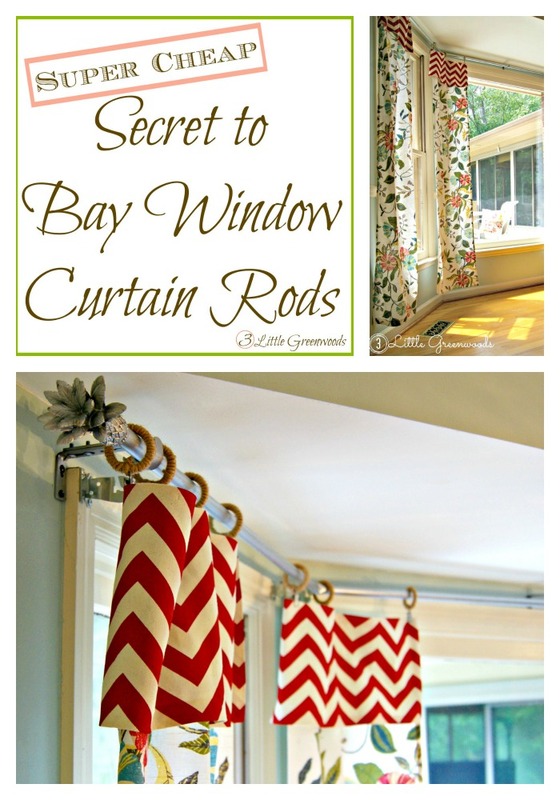 She also shares her no-sew curtain tutorial and her Secret to Bay Window Curtain Rods (think electrical conduit for super cheap). And one of the most unique and special projects, is this Gallery Wall in her Daughter’s Room. It contains pictures of Ashley’s daughter Tootsie as well as those of her grandmothers. How special and sweet is that? Ashley is quite crafty, too! She also used that vase for her Thanksgiving Centerpiece (check that our HERE). Now, speaking of Thanksgiving, I love this idea for your family table … Thankful Question Cards at each place setting. A wonderful way to create a meaningful Thanksgiving table. It’s hard to find a piece of DIY art to create … thet men actually like, and this is just perfect! I’ll just say it … Ashley knows how to throw one heck of a par-tay!! Her three kiddos sure are LUCKY!! That totally looks like a campfire on top there, right?!? Very crafty!! If you enjoyed this feature about Ashley at 3 Little Greenwoods, you may want to check out the other bloggers we’ve featured in the Summer Spotlight. 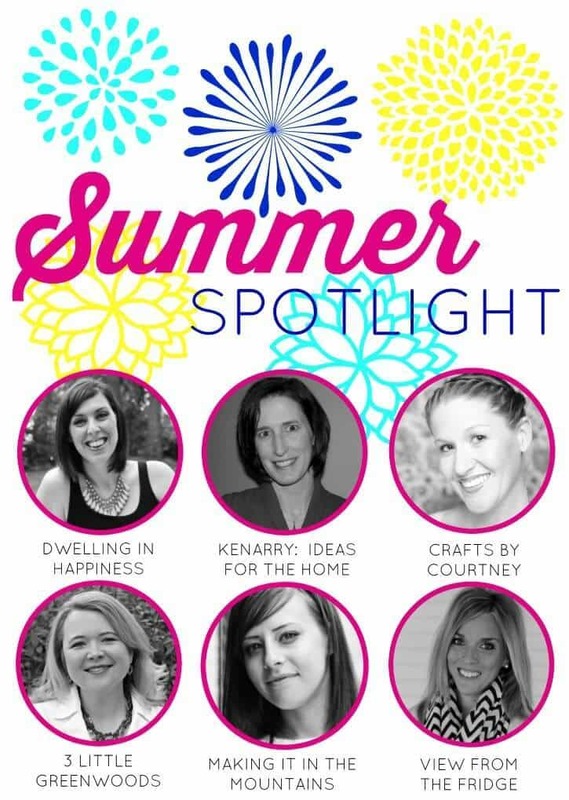 You can also visit our Summer Spotlight Pinterest board to view all the great ideas we’ve shared in this series. 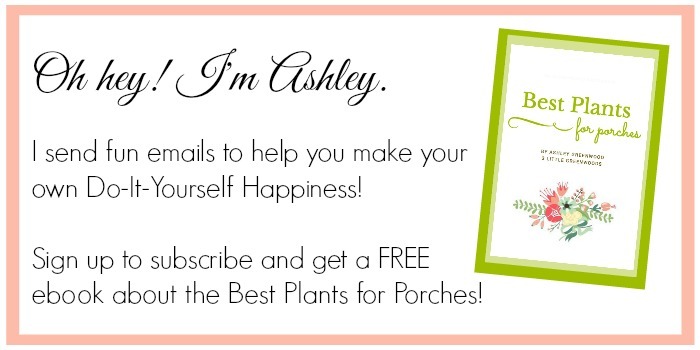 Nice to see you featured today Ashley! I absolutely adore that Campfire Birthday Cake you made and have pinned it to my Grandchildren Ideas board in hopes that one day I can make one for my new grandson. I love your Thanksgiving place card game – this is definitely happening at my house this Thanksgiving! And the Generations Gallery Wall totally inspired an idea for my grandson’s nursery! Your blog is beautiful and the content inspiring. Have fun with your Kindergarten class this year!